The provincial radio station’s Calgary digs features a new performance space and old stories. 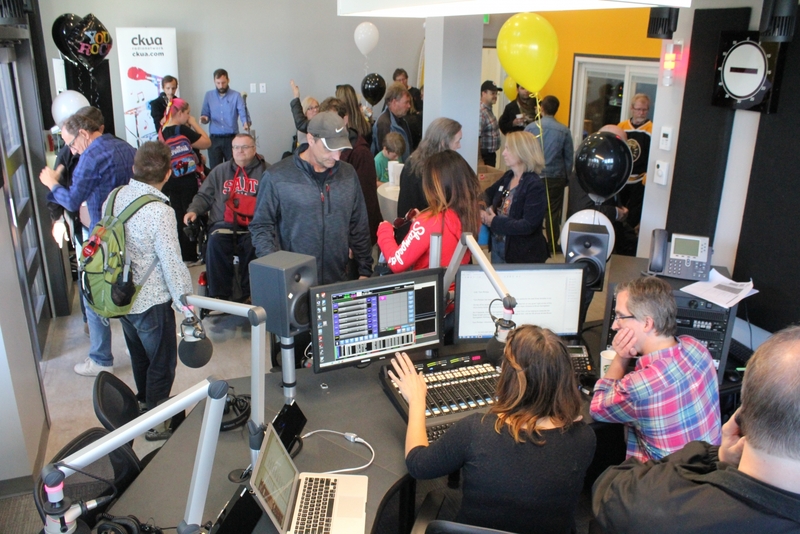 On Friday, September 23, the FM radio waves saw the return of local CKUA programming from a permanent Calgary location in the King Eddy at Studio Bell. 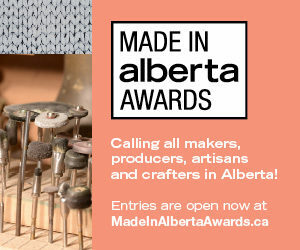 The station had previously set up shop in Heritage Posters and Music this past May to begin its broadcast, the first time it had broadcast from Calgary since 2014 in a rented space in the Epcor Centre for the Performing Arts (now Arts Commons). While those spaces had their appeal, CKUA DJ David Ward is enthusiastic about the possibilities of their new home. CKUA’s 1,100-square-foot space features an open air concept with workstations spread throughout that doubles as a multi-purpose space, as well as a soundproof booth and a more open studio space that allows the occasional sounds of nearby 4th street traffic to trickle in. Ward mentions that being in a space like the King Eddy comes with a great sense of history, and he jokingly points out that CKUA’s location was where patrons of the King Eddy might have one time seen strippers, and their mics are set up right where the bars only pool table once resided. “There’s a history here,” he says. One, no doubt, he and the rest of CKUA will add their own stories to in years to come.